Earning money has always been associated with traditional 'offline' ways found in the real world. Here are few such online platforms, websites, and resources that can help you earn money online. Freelancing has always been a popular way to earn money online and the Internet has a plethora of options. There are several websites offering freelance tasks for people with varying skills. All you need to do is to create your account, browse through the listings, and apply for the task that suits you. Some websites may even require you to create a personal listing with the details of your skill set, so that interested clients can contact you directly. Outfiverr.com, upwork.com, freelancer.com, and worknhire.com are some websites that provide freelance jobs. You can earn anywhere between $5 and $100 through these websites. 2. Start your own websiteThere is enough material available online to help create your own website. This includes choosing the domain, templates, and the design for your website. Once ready to service the visitors with the relevant content, sign up for Google Adsense, which when appear on your website and clicked by visitors help you make money. The more the traffic you get on your website, the more will be the potential for higher earnings. 3. Affiliate marketingOnce your website is up and running, opt for affiliate marketing by allowing companies to insert web links on to your site. When visitors to your site buy products or services by clicking on such links, you earn out from it. 4. Surveys and searches and reviews There are several websites offering money to undergo online surveys, carry out online searches, and write reviews on products. To get the credit, one needs to disclose certain information to them including one's banking details. This is why you should use this route with utmost care. Some of them may even ask you to register with them before working on projects. The most important watch out in such projects is to stay away from websites offering money that appears too good to be true. Be careful while evaluating the reputation of the website as many of them could be a scam. Most sites promote businesses showing copies of cheque payments which may have been given to the middlemen only. 5. Virtual assistantshipDoing all the corporate stuff from one's home is what a virtual assistant (VA) does. VAs basically work remotely with their clients and manage the aspects of their business that they are too busy to handle themselves. When you work as a virtual assistant, you can choose to work as an employee or you can set up your own business. 7. Online tutoringIf you are an expert in a particular subject, you can earn by tutoring people online. Online tutoring provides a means to connect online with students of all ages, across the country to provide homework help and tutoring in the subjects for which you have demonstrated expertise. 8. Social mediaIn addition to interacting with friends and strangers, social networking platforms like Facebook, Twitter, Instagram, and Snapchat can be used to make money. Companies and popular brands pay social media strategists to further boost the popularity of their products. With lots of competition around and the constantly shortening of attention time of online viewers, creativity is essential to create posts, videos etc that can go viral quickly and enhance the brand value. 9. Web designingNot all business owners are tech savvy but the need of the hour is to have a website of their own. Those who have a knack for all- things- tech, especially related to websites, can help small businesses set up their own websites and earn from it. Coding and web designing are the essential ingredients in setting up websites. Further, websites need maintenance and may require frequent updates, which may add to one's revenue. Depending on the client and job, a single project can fetch you anywhere between Rs 20,000 and Rs 1 lakh. 10. Content writingOnline platforms can be a good starting point. Depending on the quality of the articles, one gets paid. One may be asked to work upon articles with specific guidelines as well. Develop a niche in your area of expertise and build strength in that domain to increase the revenue stream. It starts with a hobby, interest, and passion and soon blogging becomes a career option for many bloggers. There are a number of full-time bloggers in the country. There are two ways to start a blog: you can either create a blog through Wordpress or Tumblr, which requires no investment, or go for a self-hosted blog. 12. YouTube If you are not comfortable in penning down your thoughts through blogs and content writing, make use of your camera to create a video presentation. Create your YouTube channel, upload videos and start monetising them. Choose a category or subject that you want to make videos on and get started, but make sure it's a topic that will interest a lot of people. Everything from cooking shows to political debates can find many takers on YouTube. You have to create a YouTube channel, which works on a similar model as a blog. As you make your channel popular and the number of subscribers grows, so will your earning potential. The payment one gets is based on every thousand views. 13. Kindle eBookIf writing books interests you, an option you have is to self-publish eBooks and paperbacks with Kindle Direct Publishing, and reach millions of readers on Amazon. Publishing takes less than 5 minutes and your book appears on Kindle stores worldwide within 24-48 hours. One can earn up to 70 percent royalty on sales to customers in the US, Canada, UK, Germany, India, France, Italy, Spain, Japan, Brazil, Mexico, Australia, and so on. One can keep control of one's rights and set their own list prices and also make changes to one's books at any time. BooksFundr and Pblishing.com are two other places to get your book published and earn money. 14. 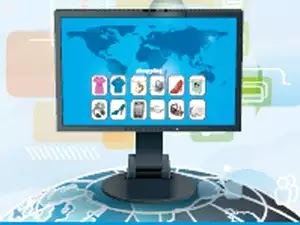 Selling your products onlineIf you want to sell products online, you may can it by creating your own website. As there's lot of competition and several existing websites in place already catering to this market, an attempt to create a niche in terms of products may be considered. Or, you can use the platform such as Amazon, Flipkart to sell. One can increase reach and visibility through affiliate marketing. 15. PTC sitesSeveral websites offer money (after a minimum level of earning) by clicking on advertisements. Hence, they are called paid-to-click (PTC) sites. One has to get registered before the project begins. Not all of these sites could be genuine, so be careful. One may also refer friends and earn money in the process. Some such sites are ClixSense.com , BuxP and NeoBux are some of such PTC sites. 16. Peer to peerSimilar to e-commerce websites such as Amazon and OLX, a peer-to-peer (P2P) platform is a marketplace for money lending activities. You can lend money to others in a more organised and structured manner using the P2P lending platform. The P2P platforms have the recovery process in place and one should understand it before using the services of the platform. Since this is an unsecured loan where there is no face-to-face interaction, a P2P lender needs to be aware of the risks involved. Currently, the interest rate earned can be anywhere from 13 percent to 30 percent. 17. Data entryAlthough this line of work is seriously threatened by automation, there are still plenty of data entry jobs available in India. It is one the simplest jobs you can do online, and requires no special skills. You just have to have a computer, Internet connection, fast typing skills, and the ability to pay attention to details. Most freelancing websites list these jobs, and you can sign up on any of them to start earning in the range of Rs 300 to Rs 1,500 per hour.